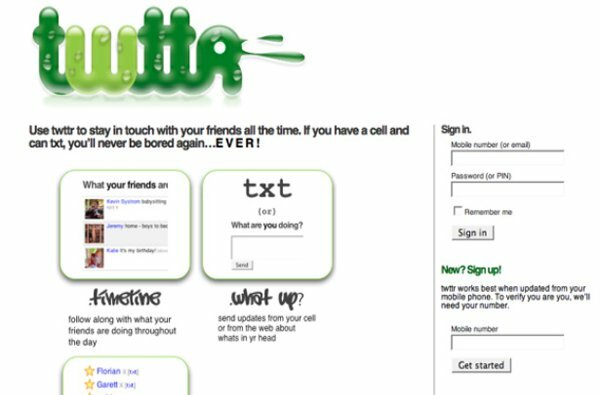 Twitter has had many facelifts – both major and minor – in its eight years, and as the company moves towards what many are calling a Facebook-a-like redesign, we thought it would be a good time for a Twitter redesign retrospective. It seems as though Twitter has been plagued by its inability to attract new users since day one. 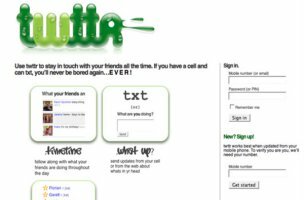 The company attempted to remedy this back in 2009 by redesigning their home page only for users who were not logged in, in order to show newbies some of the trending topics they could be enjoying if only they signed up. The downside of this was, of course, the fact that their current userbase missed out on seeing these cool new trending topics. It seemed like 2010 was the year Twitter got serious. Its redesign in September increased the content space, introduced a wider two-panel interface, easier access to things like favorites and followers from a users’ profile, the first sighting of the now-common “mini-profile” that pops up when you click a username and more. In 2011, people gasped when logging on to Twitter… because it wasn’t the Twitter they knew. Twitter.com was given a total facelift, with content moved (like profile information now being on the left instead of the right of the homepage), embedded photos and videos, each tweet given a fuller context, and a top navigation bar with new buttons. Dubbed the “Let’s Fly” update, it is the basic template of the Twitter we know today. 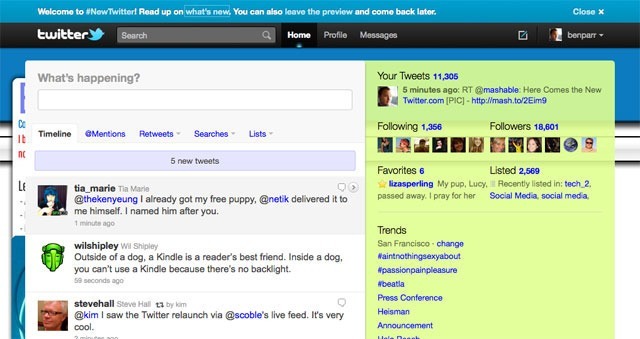 The Twitter profile got one of its biggest independent redesigns in September of 2012. This is the look you’re probably used to: a small cover photo (which frustrated many users because of the overlaying bio text), an emphasis on images in the left sidebar and more. April 2014 will be forever remembered as the month that Twitter began turning into Facebook. 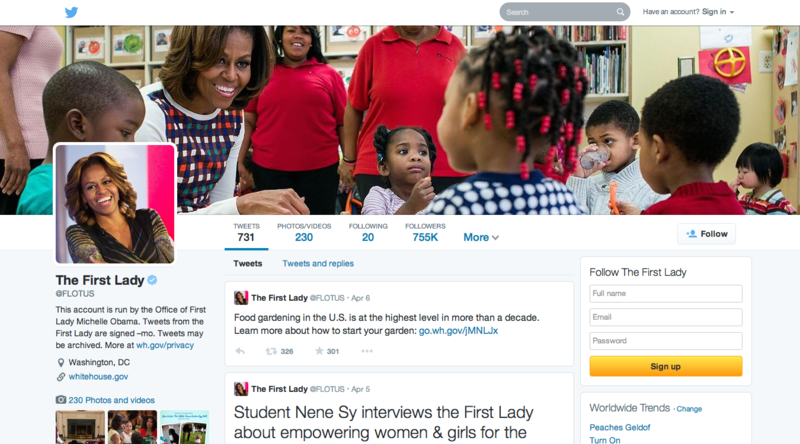 Their most recent redesign focuses on users’ profile pages, and emphasizes a larger cover photo, images and videos, and popular tweets. And, for those who didn’t know, the cover image for this article is Twitter’s design before it was known as Twitter.